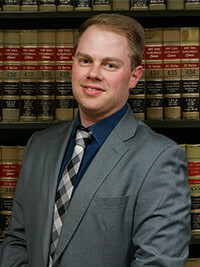 ANTHONY V. MERRILL joined MDAF as an associate in 2018. Prior to joining the firm, Mr. Merrill focused his practice on employment and labor law, handling matters involving wage and hour violations and unlawful employment practices. Mr. Merrill has successfully tried cases at both the state and federal levels regarding unlawful employment practices. At MDAF, Mr. Merrill specializes in the defense of municipal clients in cases involving civil rights, employment law and the defense of other personal injury claims.